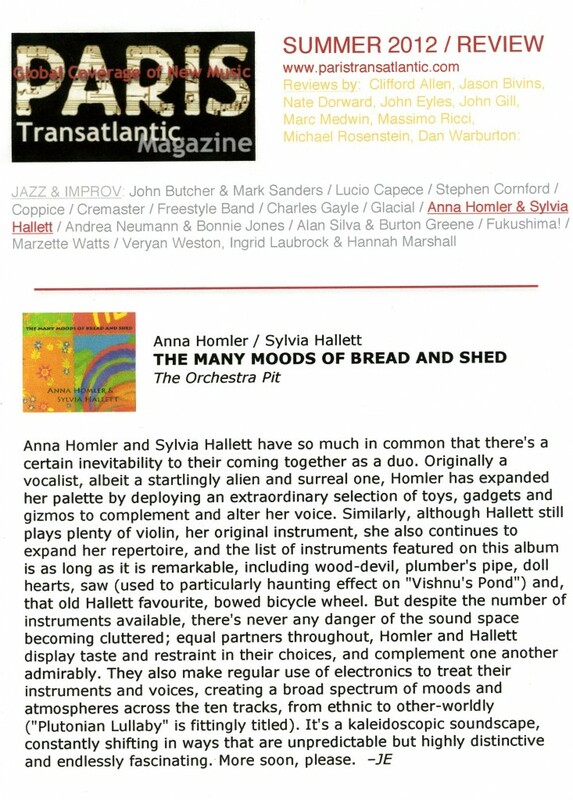 Posted in Reviews and tagged as Anna homelier bread and shed review, anna homler music, anna homler paris transatlantic magazine, many moods of bread and shed, Paris Transatlantic Magazine Review of The Many Moods of Bread and Shed, paris transatlantic music review bread and shed, review anna homelier. 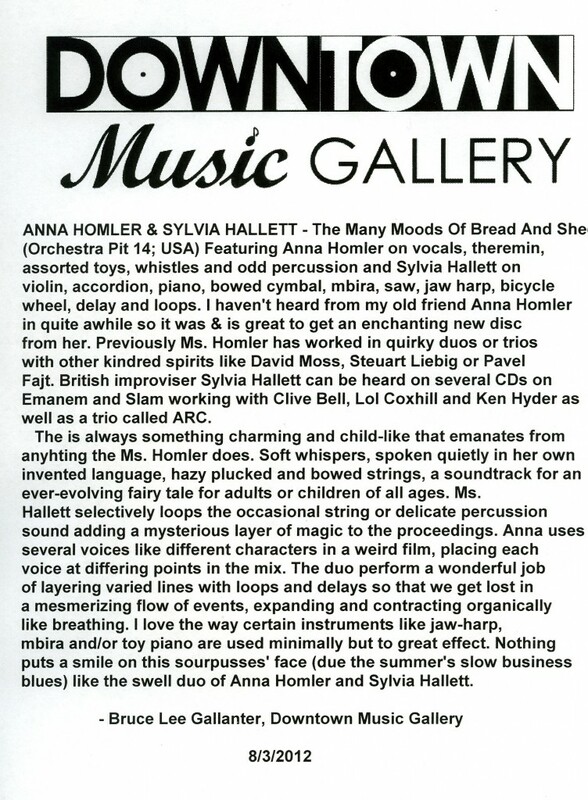 Posted in Reviews and tagged as Anna homelier bread and shed review, anna homler music, downtown music gallery review anna homler, many moods of bread and shed, review anna homelier. 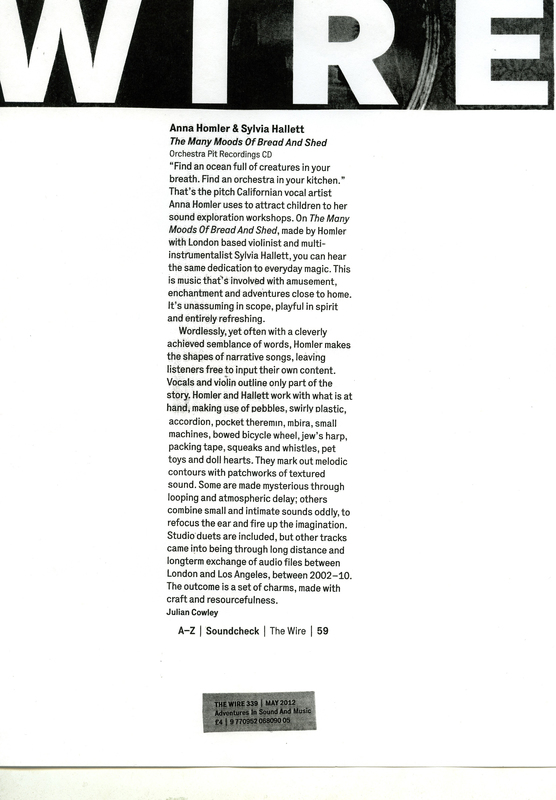 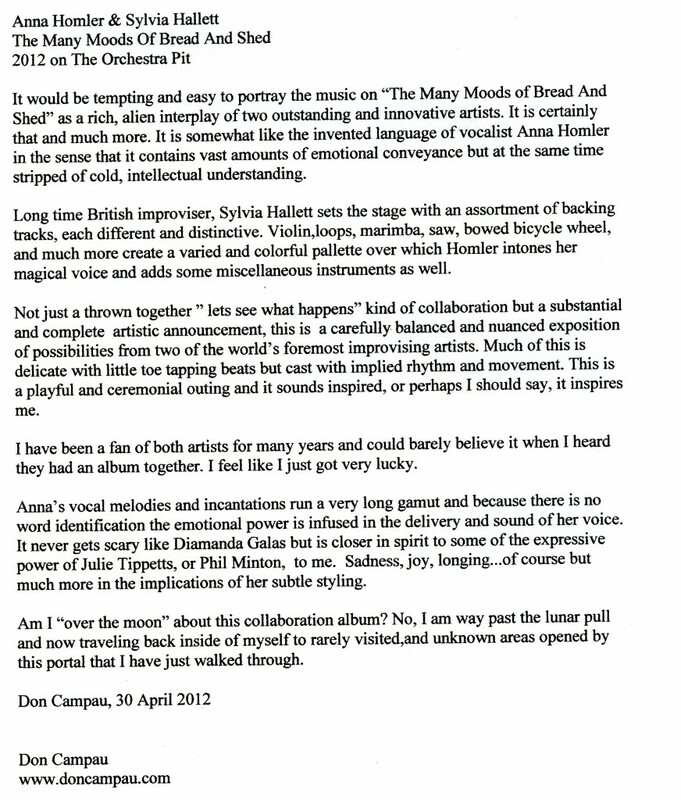 Posted in Reviews and tagged as anna homler bread and shed reveiw, anna homler music, Don Campau, many moods of bread and shed, review anna homler.